Australia, France, United Arab Emirates, Morocco, Singapore, Japan, United Kingdom, Switzerland, Vietnam, Germany and the United States of America. The two founders are recording Thank you micro videos in real time for every supporter on social media. To offer rewards to their supporters (enamel cups, eco-friendly coffee filters and coffee packs), they are teaming up with Rhino Horn Coffee who 100% profits are donated to save rhinos and help rangers in Mozambique and Zimbabwe. Reconnect. Explore. Wake up. Integrate. Learn. Discover. Inspire. Nature. We want to solve these problem by creating a shared economy booking platform REWILDIN combining accommodation and workshops into one magical experience for all budgets. – more than just staying in unique accommodation in unspoilt territories, campers will be able to participate to nature-related WORKSHOPS and learn new skills with their host. Organic gardening, permaculture, natural building, mushroom foraging, basket-weaving, or natural soap making are only examples! Information for travelers and listing for hosts will be free. The income will come from commissions on bookings. The website will be live in January 2017.
embraced a slow life that lies in line with permaculture’s principles and their values. They are keen to gather like-minded people who are contributing to a more sustainable world. 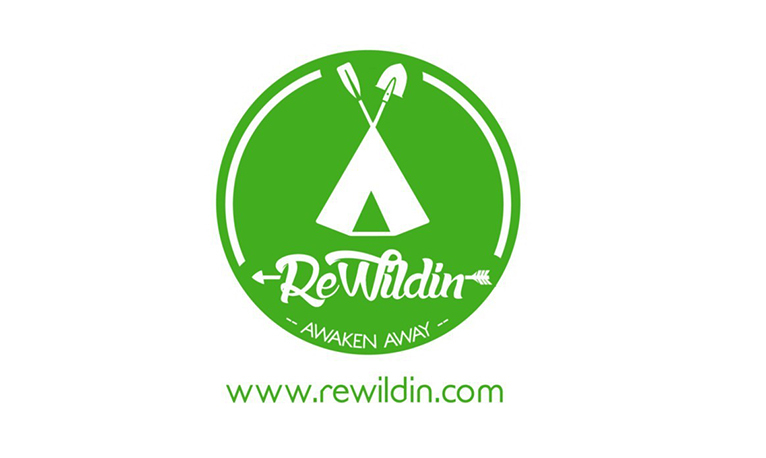 After pondering for a year, they gave up their 9-5 jobs for their dream project: Rewildin.